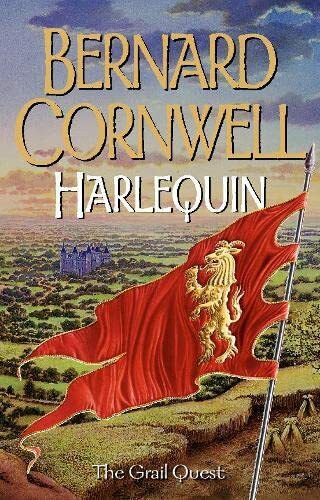 Bernard Cornwell's story is set during. the Hundred Years War between England and FranceIn the 14th century, two popes, each supported by different political empires, struggle for supremacy. But one side hears of a great secret which might win the battle for them. So they hire a mercenary. Harlequins are lost souls, so loved by the devil that he would not take them to hell, but left them to roam the earth. In French the word is hellequin -- the name given to the English archers who crossed the Channel to lay a country to waste. Thomas of Hookton is one of those archers. When his village is sacked by French raiders, he makes a promise to God: to retrieve the relic stolen from Hookton's church. Escaping his father's ambitions, he becomes a wild youth who delights in the life of an army on the warpath. Driven by his conscience and protected by his fearsome skills, he enters a world where lovers become enemies and enemies become friends, where his only certainty is that somewhere, beyond a horizon smeared with the smoke of fires set by the rampaging English army, a terrible enemy awaits him. This enemy would harness the power of Chistendom's greatest relic: the Grail itself. Here, in the first book of a new series, the quest begins. It leads him through the fields of France, to the village of Crecy where two great armies meet on the hillside to do battle.